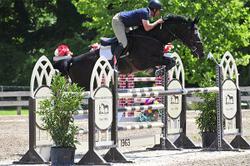 Grand Prix prospect currently showing in the 1m30 and schooling 1m50. 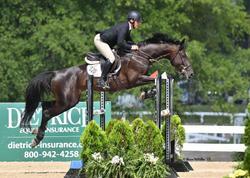 Very talented horse with a tremendous amount of potential. Huge stride and brave to the jumps. He has been in the states for almost a year now and is ready to start stepping up. Sired by Ramirado. This is a really awesome horse that found a perfect new home and owner for him!!! Thanks! !